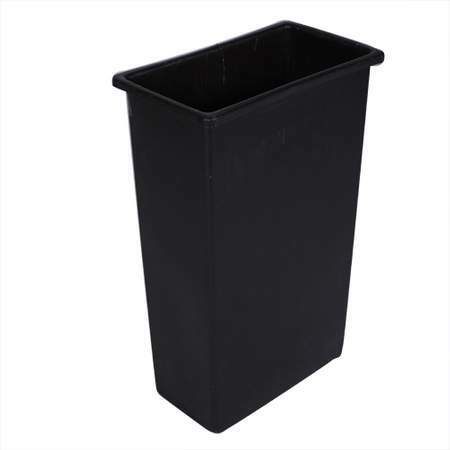 A sturdy 25 gallon plastic trash can that is tall and designed for narrow spaces. Can be wrapped in velon. White Rim Salad/Dessert Plate 7"